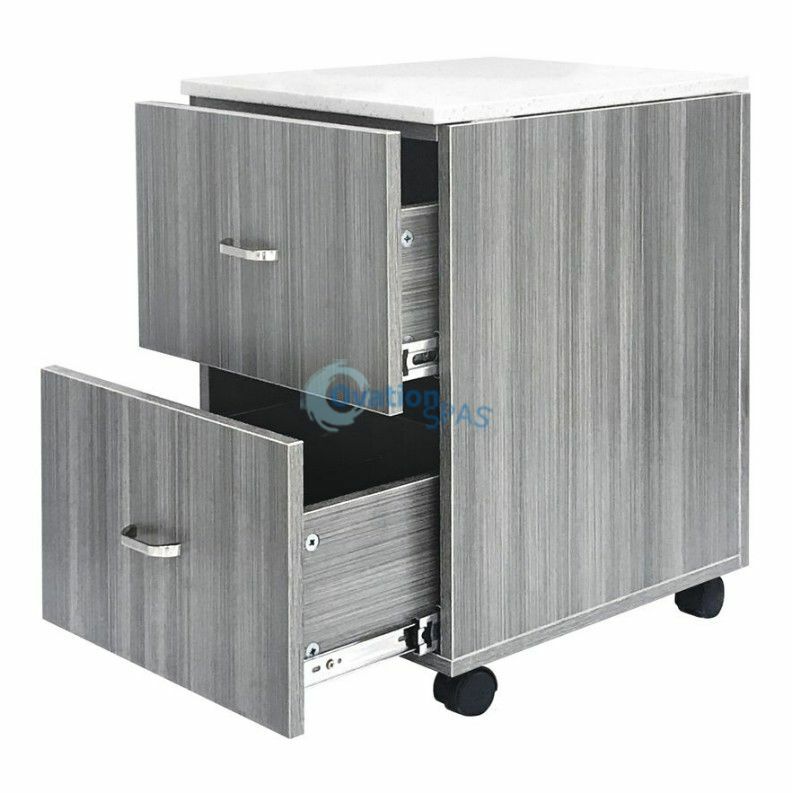 TR04 Accessory Cart is made with wood interior and laminate exterior. 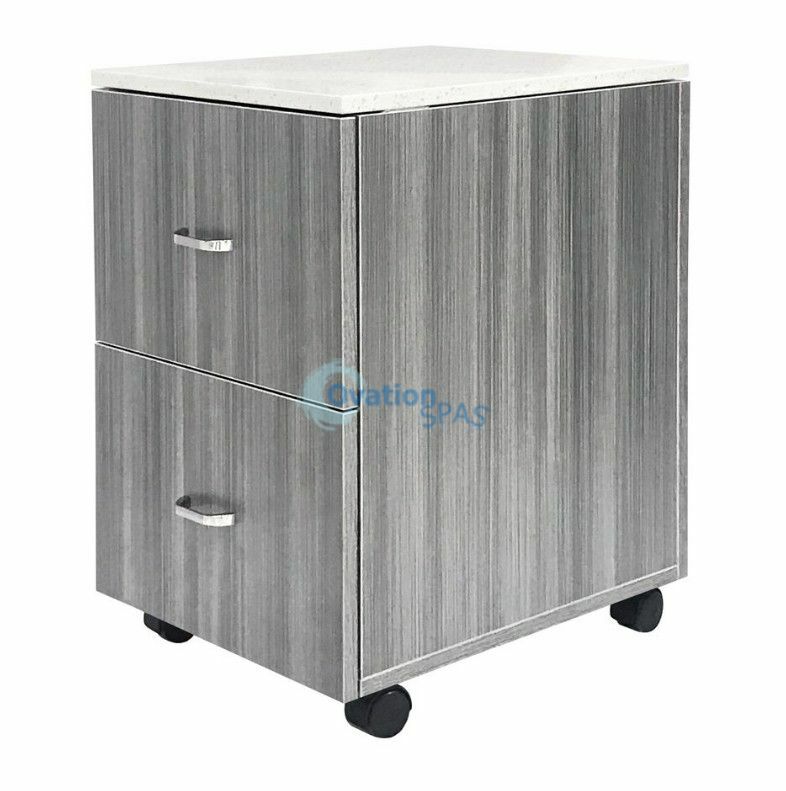 Quartz top glacier white color. Acetone and UV protection.